Having built upon what was originally envisioned, the groundwork of Star Trek has evolved to foundationalize our contemporary understanding of the space opera. And with the sharp mind of director J.J. Abrams at the helm of the latest film in Gene Roddenberry’s franchise, simply titled Star Trek, the creator’s concept is once again proven an immovable force in pop-culture iconography. But now it’s just a helluva lot more fun. Abrams’ picture races onto the screen and seems to end almost as fast as it begins, despite the just-over-two-hour running time, because we’re so completely entertained on a cinematic aesthetic level, while emotionally absorbed on another. The exceptional thing about Abrams’ reimagining of the series, beyond being at once smart and more engaging than most other blockbusters, is that his film renews the franchise without starting from scratch. Like Ouroboros, it begins where Roddenberry’s original strain left off and reprocesses from there. Allow me to explain. The basic idea behind Abrams’ film is to revisit the adventures of Captain Kirk and Mr. Spock and the other members of the original Enterprise crew, but also not ignore the stories already told in the numerous films and shows that came before. The immediate concern with a Star Trek revamp that keeps the continuity of the franchise thus far, but somehow starts over, is how to make the new product feel modern for today’s audiences, even though the original television show is now dated and campy. How can Abrams set his film prior to everything we’ve seen, but also ensure that it looks better than anything the series has had to offer thus far? This is a natural apprehension, one that cannot be resolved given the technological advances in moviemaking and special effects since the series began. So in this regard, fans must simply accept that a film made in 2009 will look better than Roddenberry’s show from the 1960s. Trekkies, myself included, have every reason to be skeptical about how the filmmakers make the transition from the gold standard to reinvention. But after the commercial letdowns of both the short-lived Enterprise program and the last film in 2002, Star Trek: Nemesis, the franchise was proclaimed all but dead, and it became evident that something new was needed. 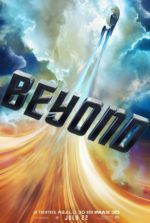 Not until Transformers writing duo Roberto Orci and Alex Kurtzman were hired to formulate a modern approach was Roddenberry’s creation given new life. What Orci and Kurtzman, director Abrams, and producer Damon Lindelof have concocted is a way to remain faithful and respectful to the previous films and shows, while employing modern CGI and futurist production designs that do not disrupt or disregard the traditional archetypes, but rather reinvent them within themselves. Time travel plays a part in an original, clever, but most importantly emotion-fuelled way that fits into the story and will satisfy devoted Trek-fans. The story begins by twisting time to restart the Trek-verse from a precise point in the known timeline, and then reinvents from there. The McGuffin used restarts the characters we’re already familiar with, and if you’re not familiar with them, even better. An embittered Romulan miner, named Nero (Eric Bana), is inadvertently sent one-hundred-plus years back in time, arriving, conveniently, just about where the future Captain Kirk is born. 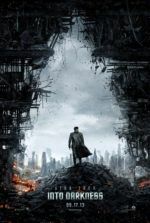 Nero, hungry for revenge against an aged Spock (Leonard Nimoy) from his era, attacks the Federation Starfleet ship carrying Kirk’s father (Chris Hemsworth), who in turn sacrifices himself to save his family. Since the timeline is now altered with Nero’s arrival and the death of Kirk’s father, the change allows for the characters within to grow in ways that innovate, and yet complement what we know. Charismatic actor Chris Pine eventually appears as the young, brash James Tiberious Kirk, who desperately hopes to live up to the memory of his father and becomes a Starfleet cadet. We’re forced to wonder how the absence of a strong father-figure would alter Kirk’s personality. Turns out, it makes him reckless and even foolhardier. Meanwhile, the young half-Vulcan, half-human named Spock, played by Zachary Quinto, struggles to balance his two sides. Does he embrace his human emotions or Vulcan logic? He’s tested when all Starfleet cadets are called into active duty because Nero’s ship is attacking the Vulcan home planet. Now we must wonder how the emotionally scarring loss of Spock’s home planet will change him. For reasons best left to the story’s explanation, Nero wants to see all Starfleet wiped out of space and time, the latter evidently being the true final frontier. And though Christopher Pike (Bruce Greenwood) commands the Enterprise at first, after confronting Nero, Kirk ultimately takes Pike’s place in the captain’s chair. But enough of the plot. What deserves the most attention here is the cast, spearheaded by the perfectly selected Pine and Quinto, and punctuated by the supporting players. First consider Nimoy, whose rough voice and timeworn face elicit enough nostalgia for any fan. Nimoy gives an appreciative farewell, because it makes sense within the story for him to do so (those wondering why Shatner doesn’t appear should remember his fate in Star Trek: Generations). Most impressive is Karl Urban as Dr. McCoy, the humanist to come between Kirk’s instincts and Spock’s logic. Urban, normally seen as the brute in sword-wielding epics like The Lord of the Rings Trilogy, embodies the role originated by DeForest Kelley, and comes complete with mildly southern accent and hearty sarcasm. It’s the performance that Trek fans will be raving about. He’s just fantastic. Each beloved character is given their full due within their respective scenes, and the actors playing them are only bettered by their predecessors, if at all. John Cho makes a solid helmsman Sulu, and shines during his bravado swordfight sequence. Anton Yelchin enlivens the otherwise bland role of Pavel Chekov, making him humorous and even lovable, while still pronouncing those Vs as Ws. The role of Uhura was improved by Zoe Saldana, giving her some flirtatious scenes with Kirk, and elsewhere an emotional ground to stand on, namely Spock. And not appearing until half-way through but nearly stealing the show, Simon Pegg’s performance as Scotty is just as lively and hilarious as the actor’s fans might expect, while staying true to his role’s handyman nature. Though the characters have always provided the dynamism of the franchise, the effects here make for splendid visuals—bursting with phasers and photon torpedoes and wild spatial anomalies. There’s always something stunning onscreen, from alien monsters to dizzying spaceship designs. It’s a visual playground. Light sources have natural sheen thanks to lens flares, where in space scenes they remind us how planets reflect the sun’s rays. 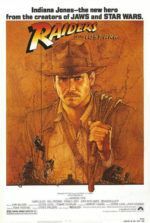 Abrams brings the series alive through these effects, leaving behind the television shows’ roots and occasionally low budgets of the previous films, thanks in part to the reported $150 million Paramount Pictures entrusted in him to generate a success. Their investment was a sound one. Relaunches being so popular in Hollywood nowadays, any once-moneymaking franchise that loses its steam is subject to a second look. The challenge in remaking Star Trek is appeasing the fully ingrained subculture of fans devoted to the franchise’s blueprints, but also changing the schema enough to broaden the demographics as wide as possible. Abrams does this without resorting to the current revamp trend, started by Batman Begins, which claims that to reinvent something it must be darker. This is not true; a revamp must be singular in its approach, but not darker. In these terms, Abrams has succeeded beyond all expectations, making this otherwise niche-driven franchise into a crowd-pleaser. He structures the story and his directing to meet the highest of present blockbuster standards, while also remaining faithful to Trekkie desires. As with almost everything Abrams touches, from Lost to Cloverfield, the result is presented in an intelligent but always entertaining way that never ceases to involve the audience. 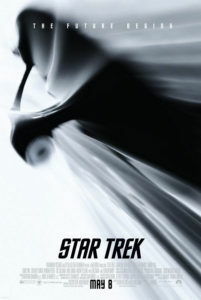 While not exploring scientific theory, existential philosophy, or social commentaries like some of the headier Star Trek films and episodes, Abrams exhilarates on a basic level that will draw general audiences back into Roddenberry’s world, universe, and space-time continuum. The film is an icebreaker, ensnaring us via elaborate effects and a fast-moving scenario, so we cannot resist anticipating inevitable sequels, as well as the evident pull of the characters and the actors portraying them.